The church offers many opportunities for you to serve the community, and the local congregation. Faith Lutheran is proud to offer activities in a variety of areas where you can get involved. Got an idea for a new ministry or project? Let us know, and we can explore how we can help you brighten our world. Every month, a team of volunteers go to the Jacksonville Correctional Center with children’s books and recording equipment to visit offenders. They select a book and we record them reading it to their children. We then mail the book and recorded CD to their children to help nurture their relationships. This is a ministry of Lutheran Social Services of Illinois (LSSI). For more information, visit their website. 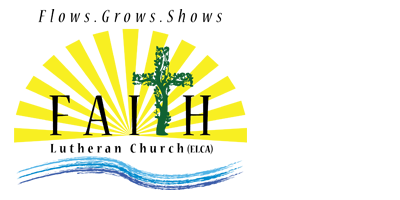 Throughout the year, Faith volunteers gather for a variety of mission projects around our community. Previous projects have included working at the Western Illinois Youth Camp, H.E.L.P.S. Ministry, packing lunches for the Congregational Church free sack lunches, assembling hygiene kits for “Share the Love,” and more. Our Faith Singer vocalists sing with drums, guitar, and piano, rehearsing every Wednesday evening and leading music during worship at our contemporary service at 8:15 a.m. on Sundays. This adult choir rehearses on Wednesday evenings and sings twice per month at the traditional service at 10:30 a.m. on Sundays. This bell choir rehearses on Wednesday evenings and occasionally plays at both services. We are a group that is learning and always accepting of new ringers.